FORUM-ASIA presently has 49 member organisations in 17 countries in South Asia, Southeast and Northeast Asia; its regional Secretariat is located in Bangkok, Thailand. As a membership-based regional human rights organisation, FORUM-ASIA works to promote and protect all human rights including the right to development through collaboration and cooperation among human rights defenders and organisations in Asia. Founded in 1991, FORUM-ASIA is committed to building an alternative society that is peaceful, just, equitable and ecologically sustainable; where all human rights of all individuals, groups and peoples—in particular, the poor, marginalised and discriminated people—are fully respected and realised in accordance with internationally accepted human rights norms and standards. FORUM-ASIA, as a NGO in Consultative Status with the UN, advocates human rights issues through engagement with governments, inter-governmental organisations and the UN for the better promotion and protection of all human rights. East Asia Programme, as one of the two sub-regional country programmes, provides support for and facilitates communication and cooperation among member organisations in East Asia (Combination of Northeast Asia and Southeast Asia). In addition, the Programme conducts and coordinates thematic and country campaigns and advocacy at the East Asian level, focusing on freedom of expression, assembly and association, democratization and economic, social and cultural rights, in cooperation with other related programmes within the Secretariat. The EA Programme Associate is tasked to enhance the synergy of different projects/programmes within East Asia as well as inter-programme coordination within the Secretariat and with members for effective advocacy, campaigning and networking. Prepare public statements, commentaries and/or articles for FORUM-ASIA publications. Bachelors degree or higher in the field of human rights or a related subject such as politics, social sciences, international relations, international law, development studies or South Asia studies. Mature personality; ability to work as a team in a multicultural and demanding working environment with cross-programme coordination. Excellent programme/ project management skills. Self-motivated, positive attitude, strategic thinking and multi-tasking ability. Ability to work under pressure and manage team deadlines. Minimum 1-2 years work experience in the field of human rights—preferably both national and regional/international NGOs in the field of human rights. Proven in-depth understanding of the actual application and implementation of international human rights instruments in a variety of situations. Preferably good understanding about the history and work of FORUM-ASIA. 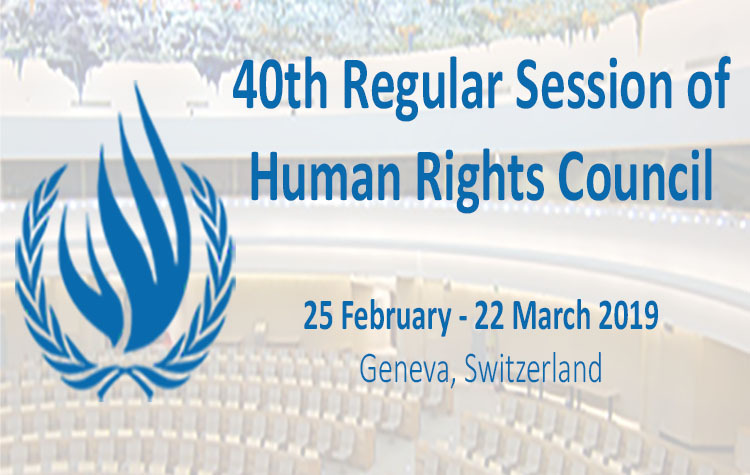 Knowledge in the workings of UN Human Rights Council and its mechanisms is an added advantage. Good communication and public presentation skills in English. Excellent report-writing ability in organisational strategising and planning using Result Based Management (RBM) or Logical Framework Analysis (LFA) tools. Good advocacy and lobby skills with various stakeholders (government officials, diplomats, NGOs, NHRIs, media etc.). Excellent analytical and synthesis abilities. Familiar and equipped with some research methodology skills is an added advantage. The successful candidate will be contacted for an interview to be conducted in Bangkok after 15 June 2012. The interview may include a written test or practical test.